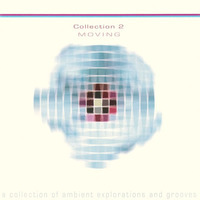 Collection 2 "Moving" is, as the title suggests, the second compilation from the Dutch label Databloem. This label has been making a terrific name for itself, releasing high-quality electronica albums from a number of new and exciting artists. Moving is billed as "a collection of ambient explorations and grooves"--and it's a very satisfying collection; seemingly a denizen of an alternate universe where techno artists chose to discard their club roots in favor of the ambient sound. Don't expect banging tracks of stunning beatwork--this is a fine selection of laid-back, downtempo head-bobbers. With exclusive tracks by Mantacoup, Carbon Boy, The Circular Ruins, Spielerei, Saul Stokes, Psychetropic, ENV(itre), Makunouchi Bento, Subradial, Vir Unis and Cyscape.